Washington (AFP) - US Trade Representative Robert Lighthizer and Treasury Secretary Steven Mnuchin will return to Beijing next week as the United States and China inch toward resolving their trade war, a senior administration official told AFP on Tuesday. On Friday, China's rubber-stamp parliament approved a foreign investment law to strengthen protections for intellectual property -- a central US grievance -- but foreign businesses said they were not given enough time add input. 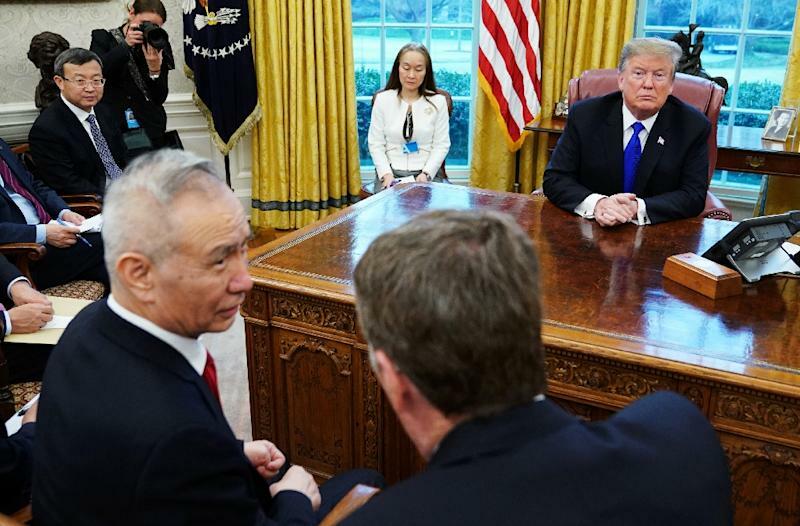 China has been willing to increase purchases of American exports but analysts say they will be reluctant to accede to American demands in ways that could weaken the communist party's hold on power. In congressional testimony last week, he said China and the United States were in "the final weeks" of talks but he stopped short of predicting success.